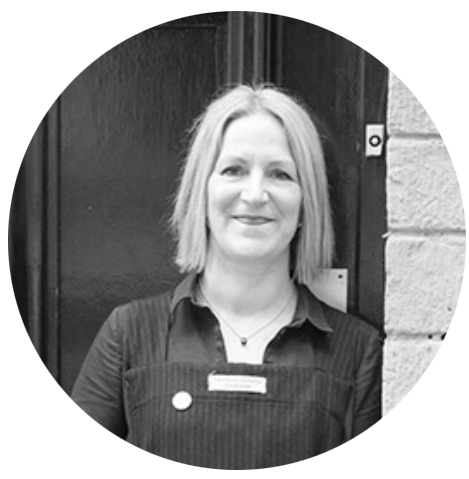 Charlotte has a background in marketing, textiles and design and has successfully turned her passion for piles of remnants into the fabric of her working life. The Stitch Society launched whilst she was recovering from Cancer 4 years ago , and chose to follow a path she knew would make her happiest – designing and creating. 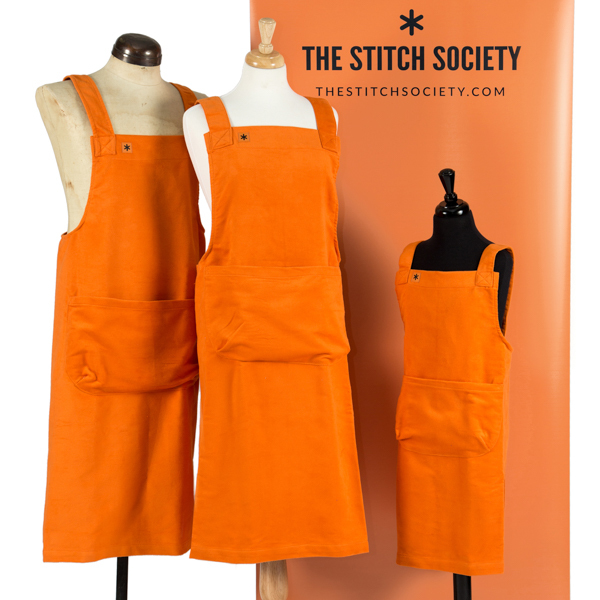 The Stitch Society is an emerging British brand, designing and manufacturing premium, luxury work aprons to artisans around the globe. 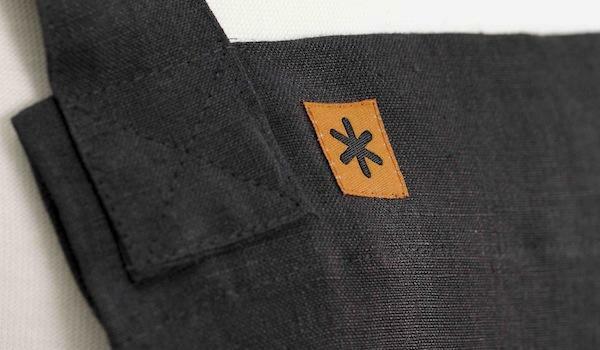 Launched two years ago, it began by creating a unique apron design featuring a large pleated pocket and following its overwhelming popularity its pattern was patented. The Society’s ethos is all of its garments are made from the highest quality, most luxurious and durable sourced cloths. 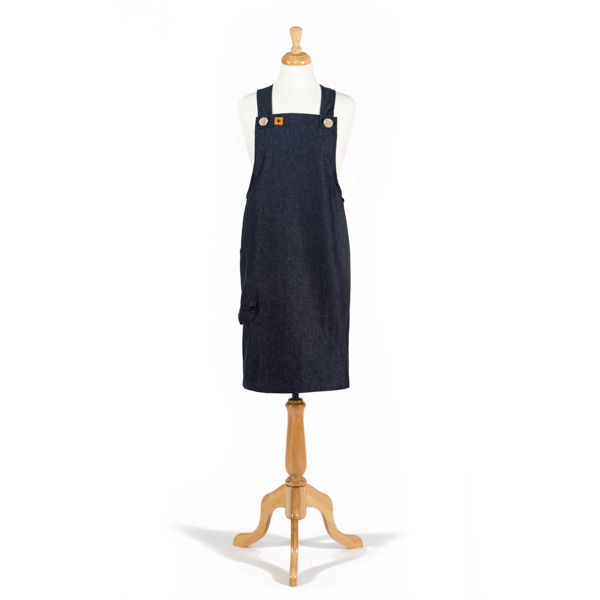 Some of its aprons are designed in forgotten fabrics, carefully curated, by the Society’s founder, Charlotte Meek, from the North of England’s old mills, as they gradually closed their factory doors for the final time, leaving only their architecture to dominate the landscape. 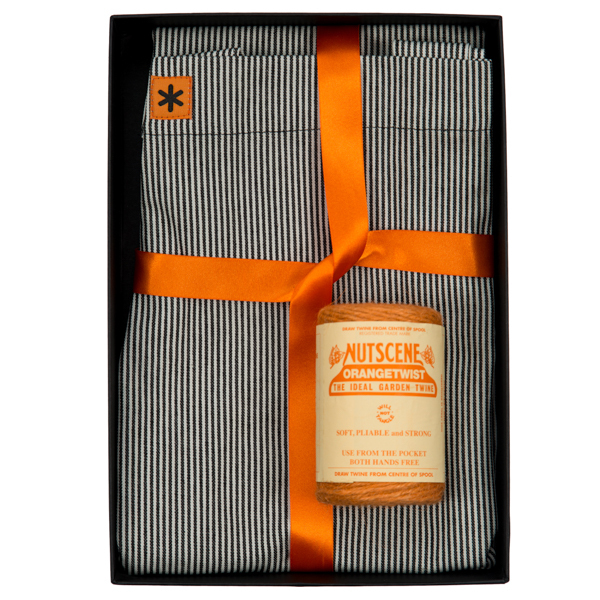 From its studio based at the World Heritage Site of Salts Mill in Yorkshire – once the world’s largest industrial mill and the beating heart of the British textile industry – The Stitch Society has successfully woven our rich heritage with modern E commerce to produce a revered collection of designer-aprons and accessories that are anything but ‘run of the mill’. 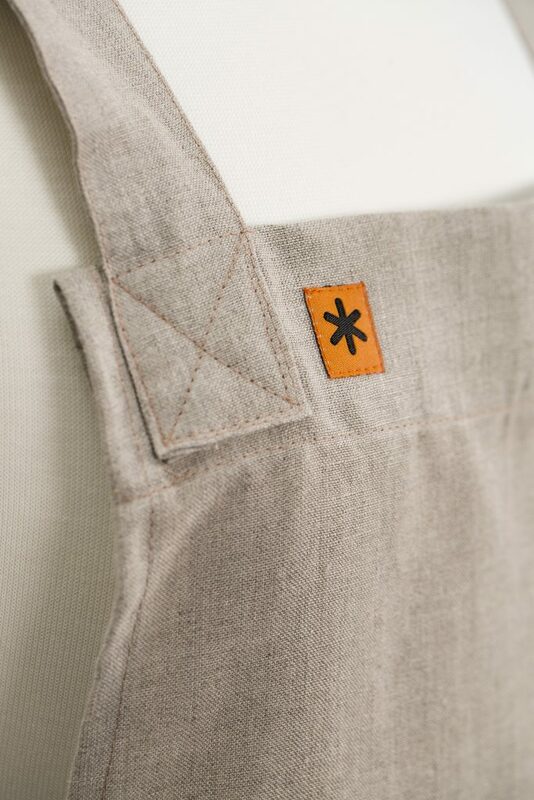 Each apron is given a traditional name, a nod to the provenance of the Society’s vast collection of quality British fabric; its bestsellers include ‘Betty’ and ‘Martha’. 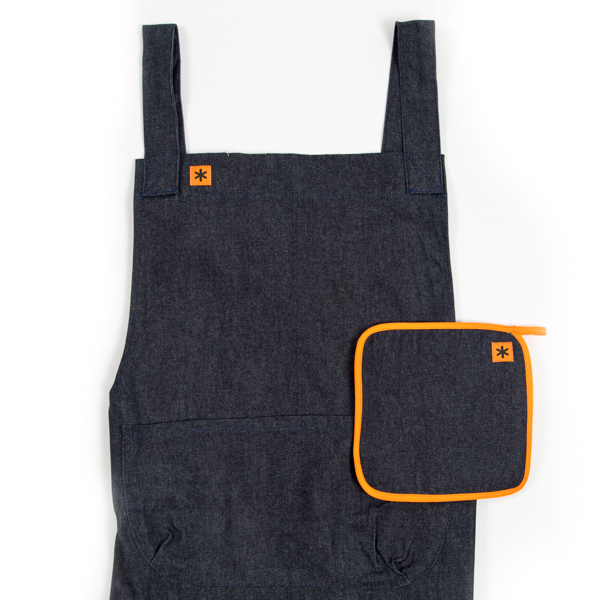 Appealing to a growing number of discerning consumers, crafters and artisans the aprons retail from £45 – £85 reflecting their hand-made quality and durability. All aprons are given a unique number by Charlotte and a ten year guarantee. The Stitch Society has recently turned its most popular apron designs into paper patterns for fellow designers and dress makers who share in the simple enjoyment of sewing and dress making retailing at £15. It believes successful businesses reap what they sew and is committed to addressing the skill shortage currently facing the burgeoning British textile industry. 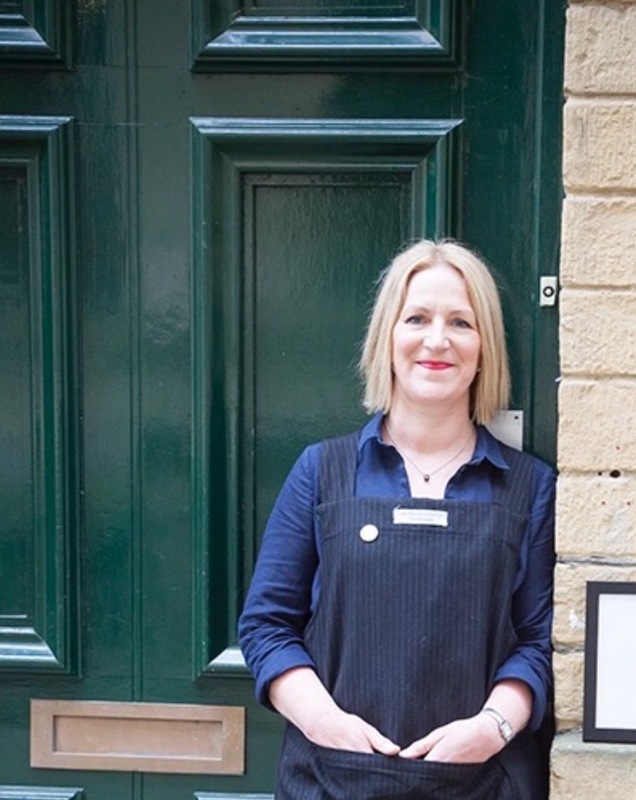 This year The Stitch Society partnered with Leeds College to launch The Textile Academy, in a bid to close the disparity between industry and education. It has helped develop a teaching program reflecting the real skill-set needed in today’s market place. During November 2017 the Society’s founder, Charlotte Meek, attended the annual Make It British event as a guest speaker. 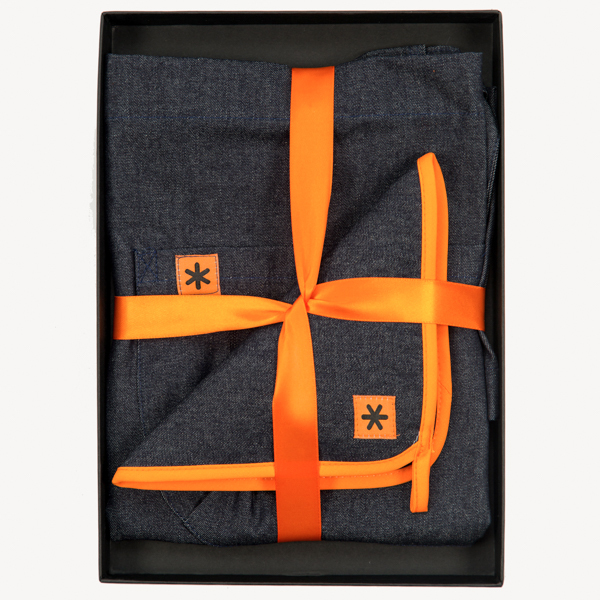 Make It British is a unique platform designed to showcase the country’s most inspirational and distinctly British brands. 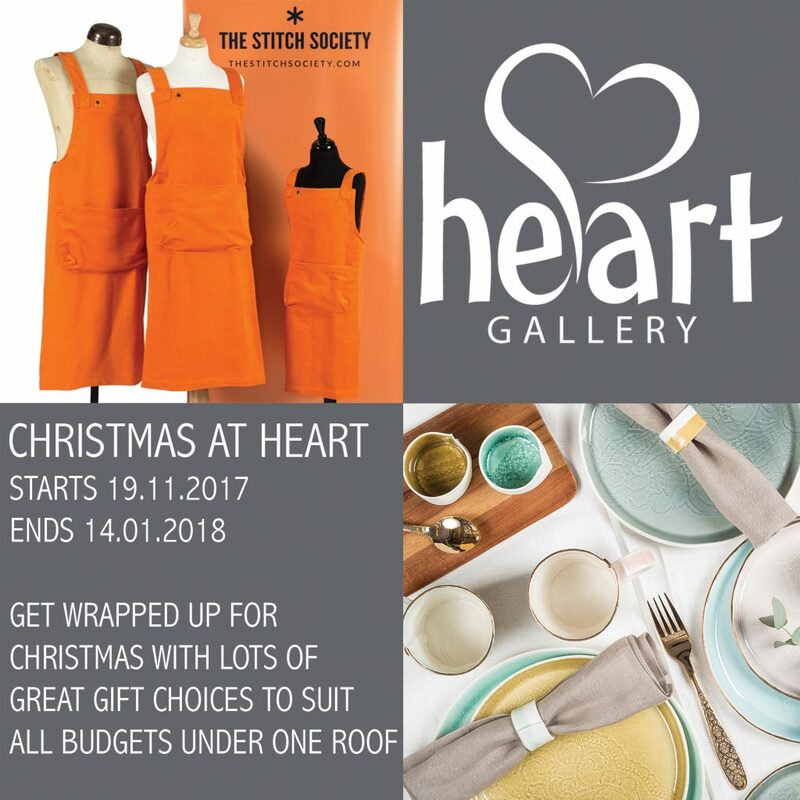 Here at Heart Gallery we are delighted to be stocking Charlotte’s aprons and new in for Christmas are her much loved gift sets for cooks and gardeners. 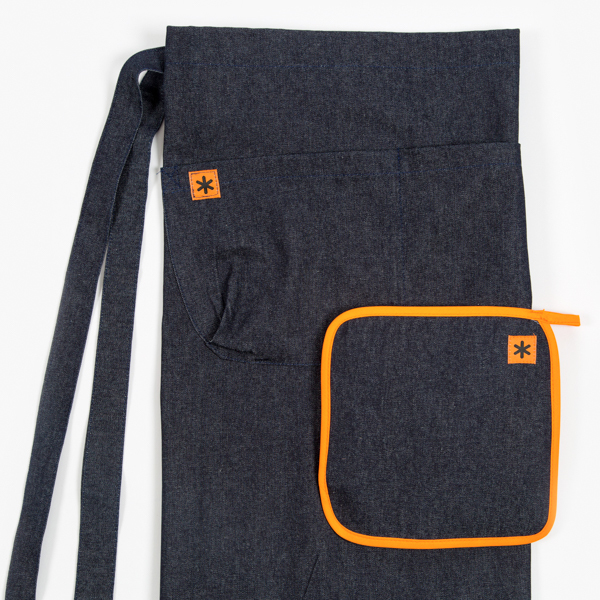 Call in soon to see the different options available and the fabulous fabrics these great aprons come in, including moleskin, denim and linen. 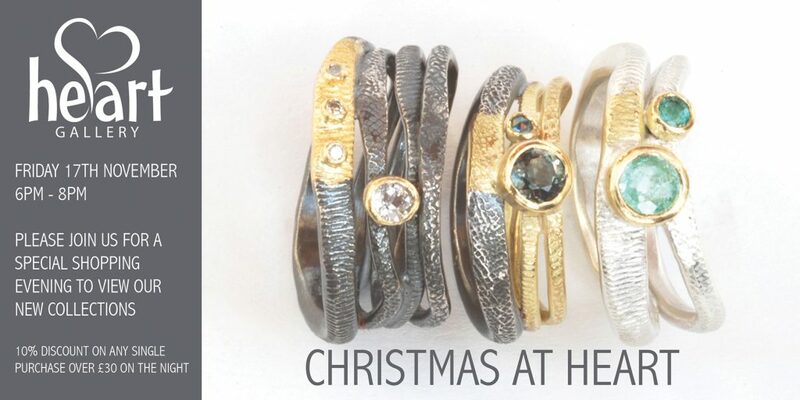 Our Christmas preview evening is Friday 17th November from 6pm – 8pm.